All around Mons, Borinage chain deploys its slag heaps by the hundreds. All around Mons, Borinage chain deploys its slag heaps by the hundreds. The most visible witnesses of the past mining activity, these strange mounds represent a major link of the local history. In Wasmes, the slag heap of Marcasse today houses a nature reserve. 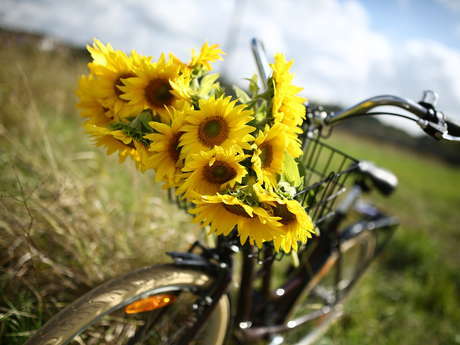 Since 2007, the nature has reclaimed its rights, well after the passage of Vincent Van Gogh. Not far from the slag heap of the 18, the remnants of the Marcasse mining site stand isolated in the landscape. It was here that Van Gogh went down to more than 700 metres deep in 1879, to share the work of the miners for a few hours. Consisting of a set of brick buildings and a concrete frame, the colliery stopped its activities in 1954 after a final blow of firedamp, fatal to 17 miners on 13 January 1953. Since 1993, the wasteland is owned by Nadine Gravis and Riccardo Barberio who work to rehabilitate the site to host artists and visitors. Adjacent to their buildings, the slag heap stands proudly to complete the history of the site. Originally devoid of any vegetation, the slag heaps over time were covered with original plant species. With their steep slopes, their exposure to the sun and their very dry soil, these old shale mountains develop a particular ecosystem. In Wasmes, the slag heap of Marcasse welcomes an amazing parade of plants and animals. Rare plants in the region such as dwarf cotton, rather accustomed to the Mediterranean basin, thrive on the slag heap! Many birds (nightingale, reed marsh warbler...), mammals (deer, foxes,...), batrachians and insects (large swallowtail, various dragonflies,...) find here one of the last refuges in the Borinage. It is this unique environment that is protected with the nature reserve. To preserve these treasures and to prevent the disappearance of these ecosystems, nature needs humanity. Volunteers, under the impulse of the nature protection association Natagora, fight against the progressive forestation of these environments. With their nature sites open to all, maintenance actions, and clearing contribute to safeguarding biodiversity. Accessible freely and without restriction, the walk is an opportunity to climb the slag heap to the top at 80 metres. Accompanied or not by a guide of the association, you will discover the characteristics of the place, and enjoy great views of the surrounding countryside. 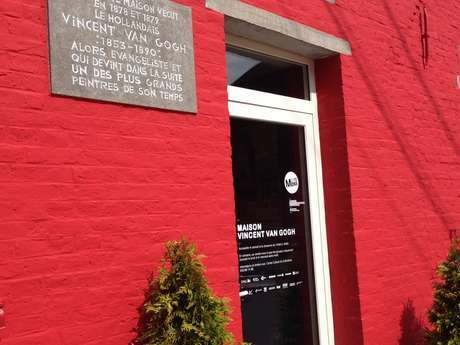 You can get to the site of Marcasse with the Pass Van Gogh, that you can buy at visitMons or directly on this website.